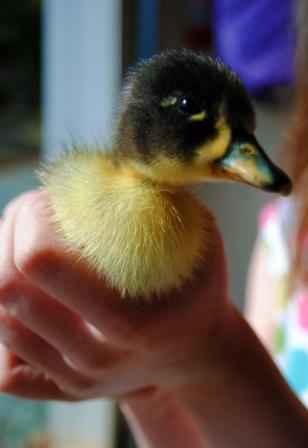 Losing little chicks is one thing – they’re very fragile and any little thing can doom them. Losing an established member of your flock is quite another. That’s when we start to worry. 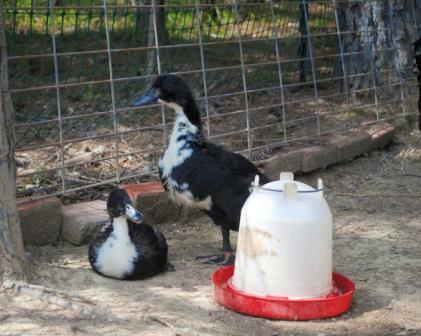 This morning Emily found one of our new ducks, LaQuack, dead in the front coop. She had seemed just fine last night and there was no evidence of sickness or trauma. That was quite a surprise to us, and of course sad. We felt worse for her hatchling, Fanny, than we did for ourselves, though. I’ve never lost a duck before, so I was puzzled as to what could have been the problem. I made a mental note to look into possible causes after cleaning up and showering. Then Emily opened that back coop, and to our very great sadness, found that Big Jim, our lovely and sweet Barred Rock roo, had also met his fate. Emily and I spent the day cleaning all of the old bedding out of both coops and putting fresh in. We also put a holistic wormer in their feed along with a vitamin supplement and antibiotics in their water. These are all a shot in the dark, since we have zero other symptoms, aside from the fact that most of our hens have stopped laying eggs. I wasn’t overly worried about that fact before; egg laying can stop due to stress, changes in light and or temperature, or regular molting (loss of old feathers and growth of new). But it can also occur due to illness. The fact that our hale and hearty rooster died means that there is more than likely some illness afoot, so we are treating it as best we can. 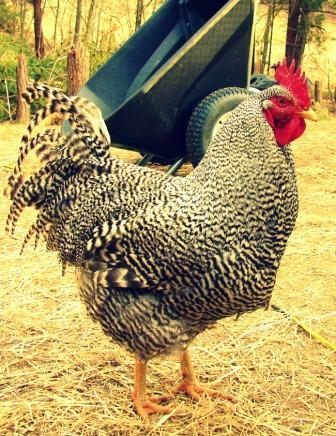 I am worried for the rest of our flock tonight, and I am sad we lost such a lovely and gentle rooster. 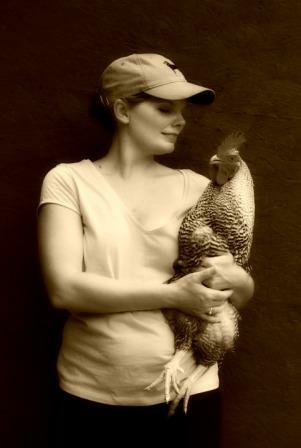 It seems crazy to be upset over a chicken, but there you have it. I am also puzzled as to why we lost a duck out of the coop where the hens have NOT stopped laying. I am comforting myself for now with a quote from Dr Seuss (I believe). I’ll smile that we got to spend time with these funny and beautiful creatures. Oh no! I am soooo sad with you. It isn’t crazy at all. Ack, and to not know why – I’ll be hoping that it is just one of those crazy things. Blessings on everyone else’s heads. Keep us posted, please? And hugs for you.